Best LPs Of 2016 — Part 3 | Pop That Goes Crunch! We conclude our rundown of the Best LPs Of 2016 with the best of the best. Also, be sure to check out the list of five other 2016 longplayers deserving of a listen. 10. The Cleaners From Venus — Last Boy In The Locarno: Martin Newell returns with twelve tracks of great stories, intriguing character studies and winsome nostalgia surrounded by deft melodies and the usual assortment of unexpected twists and turns. Listen and buy here. 9. Trolley — Caught In The Darkness: Trolley distills the entire history of psychedelic — and psych-inspired — rock ‘n’ roll into this blistering twelve song set. Listen loudly and buy here. 8. Cotton Mather — Death Of The Cool: This one summons the spirit, depth and quality of Kontiki, one of the greatest albums of the 1990s. That’s all you need to know. Sample and buy here. 7. Somerdale — Shake It Maggie: The guys in Somerdale are proud proponents of a style of music — Power Pop — that is “so out of style, its cool.” And this is certainly one of the coolest records of the year — ten proper tracks, and a reprise — recalling the days when radio was king. Listen and buy here. 6. Tuns — S/T: Chris Murphy of Sloan, Mike O’Neill of The Inbreds and Matt Murphy of The Super Friendz join forces to release perhaps the greatest unassuming record ever released. This one delivers nine perfectly conceived rockin’ pop songs expertly executed. Sample and buy here. 5. Teenage Fanclub — Here: How does one compose a pithy sentence about a release by an all-time favorite? One doesn’t. Just sample and buy here. You’ll get the point. 4. Coke Belda — Nummer Zwei: This late-2015 release is a delight from beginning to end, mining all manner of classic pop styles amid sharp songwriting and musicianship and beautiful production. Listen and buy here. 3. Nick Piunti — Trust Your Instincts: Piunti is a perennial on these pages, and this release does not disappoint as he delivers ten stellar examples of some of the finest rockin’ pop on the planet. Listen and buy here. 2. The Legal Matters — Conrad: State of the art pop from the Fab Three, with a little help from their friends. Sample and buy here. 1. 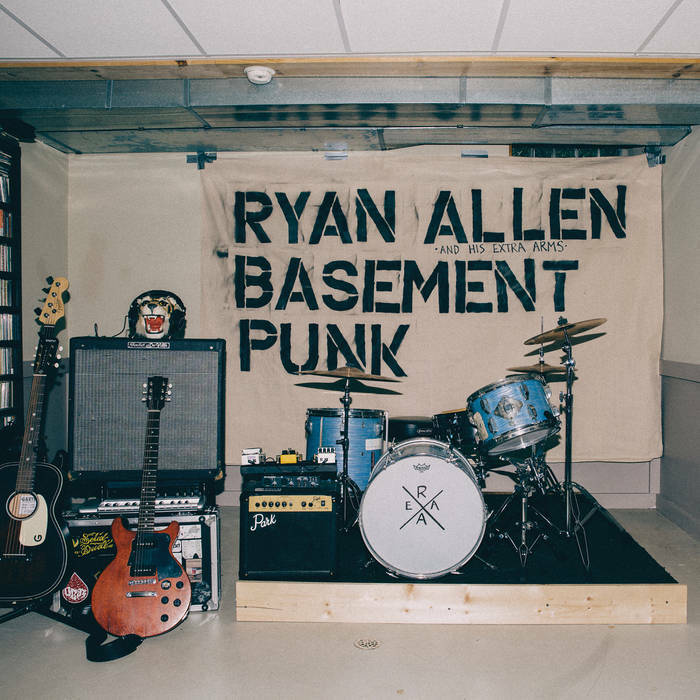 Ryan Allen and His Extra Arms — Basement Punk: The sheer energy packed into these eleven tracks takes Basement Punk to a photo finish victory. Allen’s often quite personal songs soundcheck the great pop rock of the 60’s through the 90’s in a manner that remains contemporary and fresh. Listen and buy here. Tommy and the Rockets — Beer And Fun And Rock ‘n’ Roll: What the Ramones might have sounded like had they grown up in a Southern California beach community and had Danish roots. Listen and buy here. Bill Shaouy — The Other Town: Shaouy operates as kind of a one-man XTC. Check out “Christopher Walken Told Me,” in particular. Sample and buy here. Starry Eyed Cadet — Places We Don’t Belong: A sharp update of 80’s dream pop stylings. Listen and buy here. Rob Clarke And The Wooltones, Are You Wooltoned? : Need a fix of 1966? Listen and buy here. The Jeckylls, The One I Want, The One I Need: Siting at the crossroads where Mod and Power Pop meet. Listen and buy here.